This past week we have been integrating pumpkins and fall elements into our lessons and activities. We just finished week 8 of our curriculum Big Day PreK, and for the alphabet knowledge component we are reviewing the letters A through E.
This is a fin activity I created for my kiddos. They really enjoy dabbing and stamping, so this practice should be a breeze! I placed the pumpkins cutouts of the letters into my big pumpkin. 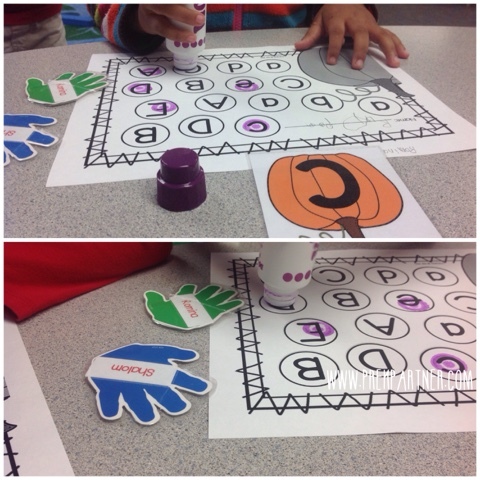 Each child took turns picking out a pumpkin letter. That child would read the card and ask their friends to dab it. They also practice identifying the lower and uppercase letters. I love this idea. I have seen that the studets love to use the bingo stampers.I plan to do things like this in my own classroom oneday. 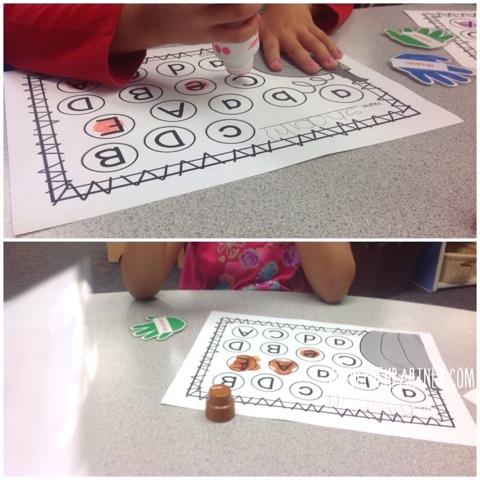 My kiddos LOVE these stamper activities!